Welcome aboard! As a member of the Sandy Springs Perimeter Chamber, you are a part of something incredible. You stand among over 450 members who are improving the city of Sandy Springs and Perimeter business climate through their commitment to the entire region. Together, we build a future of prosperity through action and planned progress! Read on to learn about the opportunities to get involved at the Chamber and grow your business! ● Advertise events: Add your events to our online calendar and use the quicklinks to share on social media or email to others! Events approved by the Chamber staff get pushed to Twitter. ● Business Directory: Your organization's 24/7 online brochure. Complete your ChamberMaster profile to let potential customers know as much as possible about your services! ● Employment Opportunities: Use our free Job Board to post open positions or look for your next career in Sandy Springs! Job postings automatically push to Twitter. ● Hot Deals: Offer coupons and special deals! Hot Deals push to Twitter and are shared in our weekly Chamber newsletter. ● Network: Check out other member listings - fellow members may be your best customers and connections! Advocacy: A fundamental activity of the Chamber is to develop and implement policy on major issues affecting our members. The work of committess, task forces, and councils are key to this effort! Affinity Programs: Take advantage of our Affinity Program specials! Business Referrals: When asked to supply names of businesses/services in the Sandy Springs Perimeter area, Chamber staff only offers businesses and organizations that are members! 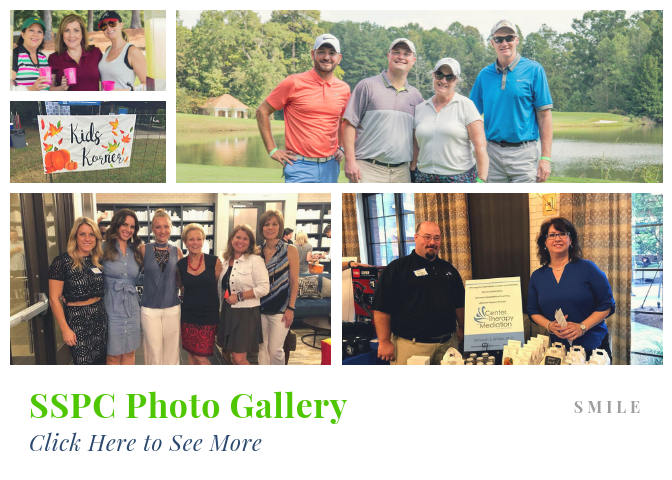 Chamber Newsletter: SSPC publishes 2 regular newsletters - a Chamber Newsletter highlighting Chamber events, Hot Deals, and other Member news items and benefits; and a Community Newsletter highlighting Member events, local news and events, and information regarding local organizations. Committees, Councils, and Task Forces: What better way to become more involved the Chamber than to serve with one of our many initiatives? You can be the change you wish to see in the community by providing insight and guidance to the Chamber. Community Involvement: Volunteering for Chamber committees gives members the opportunity to study community needs in-depth and find solutions to concerns in their community. Continuing Education: SSPC hosts informative luncheons focused on a variety of topics facing local businesses of all sizes. Also included in membership is access to the Virtual Small Business Video Library. Discounted Event Rates for Members: All Chamber events are open to the public - members receive discounted rates! Economic Development: Your investment in SSPC helps make economic development thrive in our community. Your support makes the community grow, allowing businesses to expand and for new jobs to be created. As Sandy Springs grows, so does your business! Membership Directory: Members are included in the Membership Directory in our annual Guide to Sandy Springs, available in print and as a digital verison. Networking: We offer several monthly and annual networking events including Monthly Luncheons, Coffee & Contacts, Networking at Noon, Small Business After Hours, our Annual Luncheon, the Sandys Awards Gala, our Golf Invitational, and MORE! Ribbon Cuttings: Have you just opened your business? Have your just completed a renovation? Schedule a Ribbon Cutting to celebrate your grand opening! Sponsorship & Promotion: Sponsor a Chamber event and get your business recognized!